May 2 Can Labour be transformed? When the Stalinist regimes of eastern Europe collapsed like a pack of cards at the ends of the 1980s, a free market triumphalism broke out. Social democratic alternatives, which had played a central role in post-war western Europe, were passed over – partly because they shared the same bureaucratic and paternalistic outlook as the systems just overthrown. The contempt of Beatrice Webb, Beveridge and Keynes for working class creative insight, recalled here, underlines these attitudes. 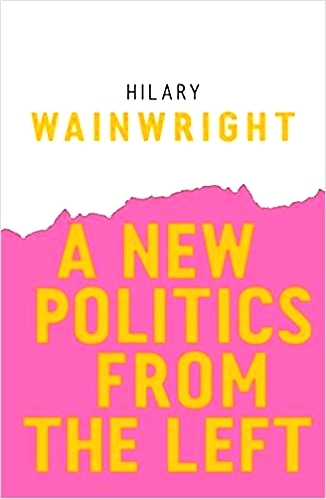 Hilary Wainwright’s new book looks at how the left can move away from top-down approaches to reform to unlock the practical knowledge of grassroots workers and so unleash their transformative power and energy to make lasting economic change. The work of Lucas Aerospace workers, who drew up alternative plans for socially useful production when faced with redundancy, is referenced here. Hilary Wainwright had first hand involvement in this experience. But more successful was the campaign of Newcastle City Council IT workers to prevent the privatisation of their service. By going beyond simply defending their members’ jobs and proposing an industrial democracy-based plan for the service’s improvement, the union helped make savings of £228m over an eleven year period – money that could be diverted to frontline services. Working up these isolated examples into a theory of left-wing governance is more ambitious of course. But the recent years of economic crisis have fuelled the development of local currencies, credit unions and worker co-ops, the latter now having a worldwide turnover of $3 trillion. Progressive social goals are also being pursued by the adoption of alternative technologies and fairer trade. Lula’s government in Brazil created a whole new department for the solidarity economy, but it was increasingly marginalised as the government opted for a conventional corporate-led development strategy. Can the Corbyn movement be an expression of this new politics? Much of its energy come from social movements outside Labour, but the Party itself remains parliamentarist, top-down and greatly under the moderating influence of union leaders. Against this, there is Corbyn himself and the growing role of Momentum. The compromises were evident in Labour’s 2017 manifesto, which I explored in my own recent book. Can Labour be transformed? And is the transformation of the Party a precondition for a radical Corbyn government? Hilary Wainwright invites readers to get involved and make their own mark on this process.